Distracted driving is a killer. Please don’t text and drive! -78% of teens and young adults say they have read an SMS message while driving. 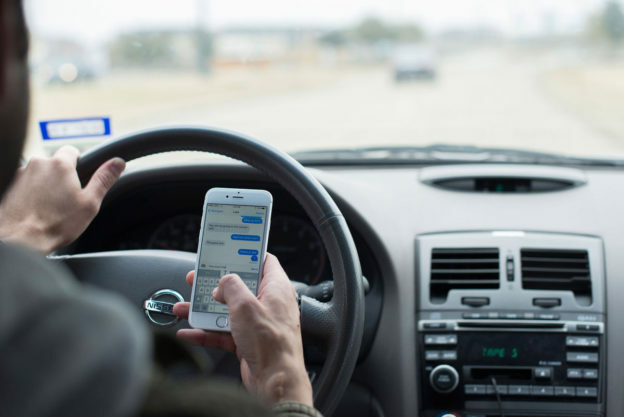 Distracted driving is a dangerous epidemic on America’s roadways. In 2016 alone, 3,328 were killed in distracted driving crashes. Police officers give tickets for texting and driving for a reason. Punitive damages may be available for you if you or a loved one was injured and it can be proven that the person who hit you was texting at the time of impact/shortly before impact. An experienced attorney can assist in attempting to prove this after a thorough investigation by subpoena of phone records and billing and other evidentiary / investigatory tools. It is not an easy fact to prove due to timing of police reports and witness statements, etc. You can contact me 24/7/365 (and I really mean that as I will answer my phone) at 312-375-6524 if you have any questions about potential distracted driving after an accident and to learn how I may be able to help you or your loved one who may need, or simply want, a second opinion – in particular, you will find that I listen, take your phone calls and e-mails (and even text messages–BUT NOT WHILE DRIVING!!). I would be honored to help you with your matters – large or small.